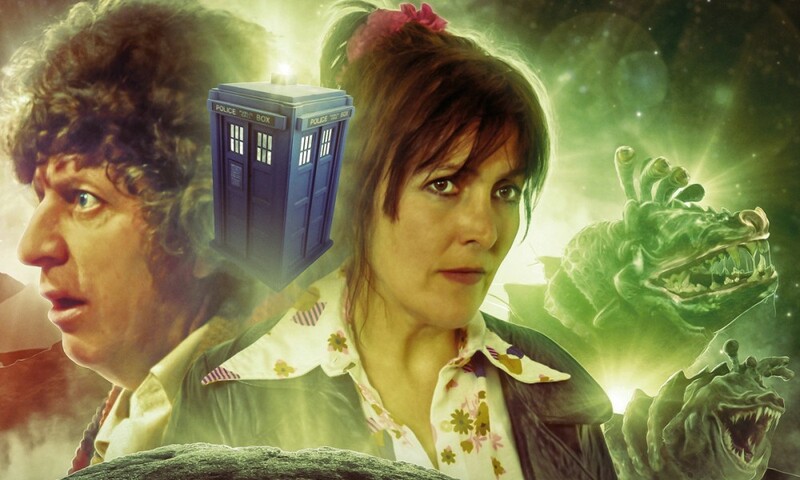 Big Finish’s range of Doctor Who novel adaptations draws to a close with two more adaptations of novels featuring the Seventh Doctor, Chris, and Roz, a TARDIS team that debuted on audio back in Russell T Davies’s Damaged Goods. Andy Lane’s The New Adventures: Original Sin was their prose debut back in 1995, now brought to audio by John Dorney. 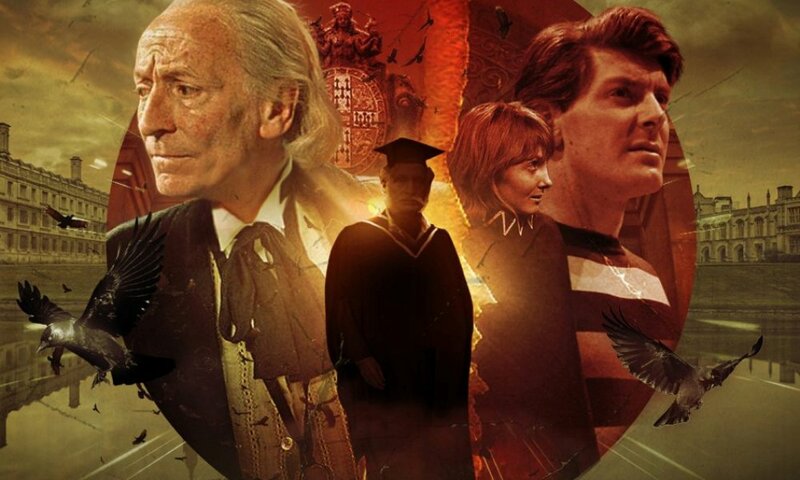 The Doctor and Bernice Summerfield investigate the dying words of a new friend, bringing them into the orbit of a murder investigation by two Adjudicators, Roz Forrester and Chris Cwej. I haven’t read the novel in this case, but this is definitely one of those audio adaptations where the seams show. I would guess that the original Original Sin has a sprawling, multiplanetary narrative, as you can do in a novel, whereas the audio has to have a comprehensible number of settings and a small number of characters — and this one has a bullet to bite from the beginning, in having four “regulars”. The story is often jumpy, in small and large ways, and doesn’t seem to entirely line up. 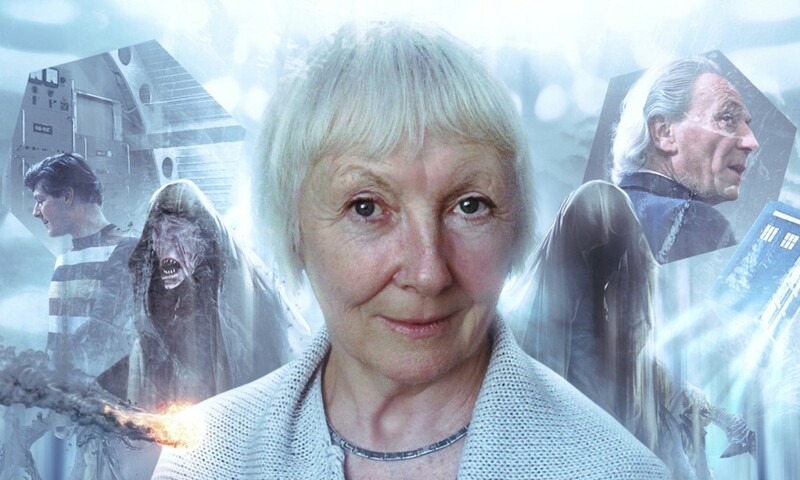 For example, the Doctor and Bernice are framed and tossed in a jungle on an alien planet to be executed, a peril from which they seem to escape with such speed and ease that it makes you wonder why Dorney didn’t just strip the incident out altogether. Or, a series of radio bulletins updates you on a growing global panic, but since our main characters never seem to encounter this panic themselves, tension isn’t built the way that it ought. Unfortunately, I think this awkwardness of adaptation undermines what was probably the very reason this audio was commissioned, to fill the gap created by Damaged Goods and provide a “proper” introduction for Chris and Roz. Though Travis Oliver and Yasmin Bannerman do good jobs as the space cops, the writing is sometimes heavy-handed: Roz’s previous partner was killed in action, apparently by aliens, making her a bit racist — something that is communicated by Roz saying, essentially, “I’m a bit racist against aliens because my partner was killed”. It then basically never comes up again until a key scene. In a novel, scenes from Roz’s perspective could presumably reinforce the character beats, but in audio, these things are best communicated by action, and here they’re not. The climax, too, is neutered, presumably by rights issues. I know who the villain is because I read a synopsis, but this version dances around it in a very weird fashion. It’s like the whole “villain reveal” scene is there except for the one line where the actual villain is revealed. It’s possible there was no way around this, but it leaves the whole climax a bit of a damp squib. Philip Voss has a great voice as the baddie, though. Though I like this set of characters — Lisa Bowerman is as Bernice Summerfieldish as ever — I found it difficult to get into this one, I suspect because the stakes never seemed clearly delineated, and indeed, the explanation for what’s been going on is a bit of a non-explanation, relying as it does on a pretty arbitrary technogubbins connection between two disparate events. The best of the novel adaptations have had grandeur and scope on audio; the weaker ones tend to feel small and disjointed. Unfortunately, despite the good work John Dorney and everyone else involved has done elsewhere in this same line, Original Sin is one of the latter category. 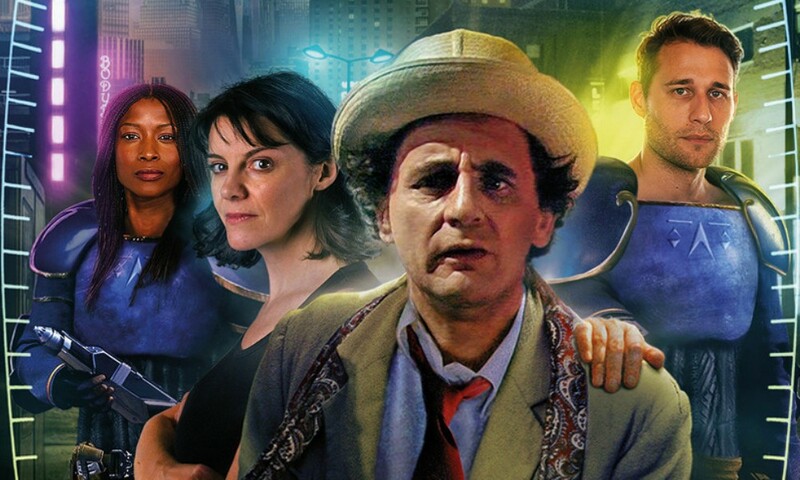 Original Sin (by Andy Lane, John Dorney; starring Sylvester McCoy, Lisa Bowerman, Yasmin Bannerman, Travis Oliver) was released by Big Finish Productions in December 2016.